Get the Full StoryColby Covington considers his trip to Las Vegas for UFC 235 a success. 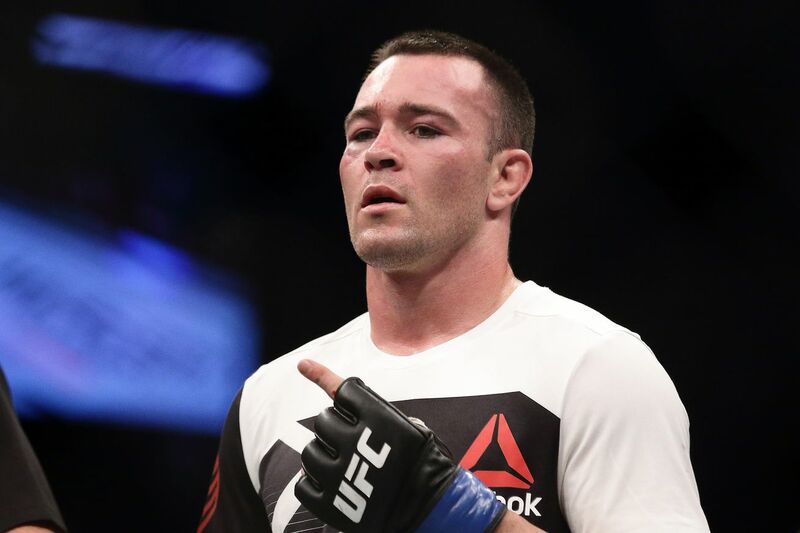 Colby Covington s presence was very much felt in Las Vegas during UFC 235 fight week. The former UFC interim welterweight champion was in town because a welterweight title fight between Tyron Woodley and Kamaru Usman was co-headlining the event. Covington decided to go to Las Vegas himself the UFC did not request he be an official guest fighter. I don t feel like I stole the show, I know I stole the show, Covington told Bloody Elbow. The people know I stole the show. It was a boring week; no one was even talking about the fights until I showed up. I definitely stole all the headlines. ... They weren t talking about Jon Jones, they were talking about Colby Chaos Covington. Covington showed up unannounced at Usman s open workout and heckled The Nigerian Nightmare, who would beat Woodley by one-sided decision to win the 170-pound belt last Saturday night. All the fans were just completely quiet, Covington said of Usman s open workout. As soon as I showed up, I injected some energy and some electricity into the building. Chaos also tracked down UFC president Dana White at a casino and posted video of the encounter online. Covington wanted to know why he wasn t fighting Woodley for the title at UFC 235. They had a brief conversation after Covington agreed to turn off his camera. Covington was informed by the UFC during Woodley vs. Usman that he was in line for the next title shot. Covington said the UFC is targeting his fight against Usman for either June or July. Because he managed to sit down with White and also got official word of his title shot, Covington said he considers his trip a success. Every time I say I m gonna do something, I go out there and do it, Covington said. And promises were kept.